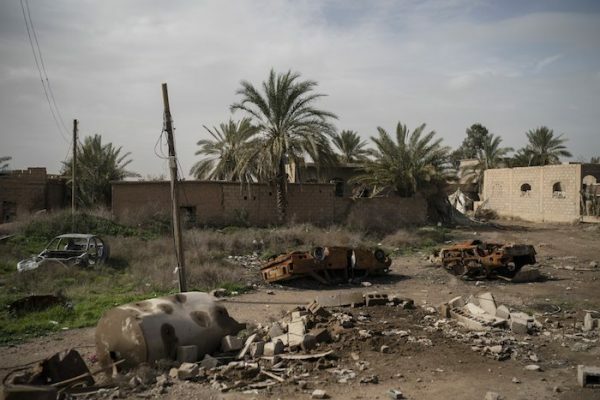 The last bastion held by ISIS has reportedly fallen, just a day after President Trump said the terrorist group would be taken out imminently. A reporter on the scene said troops in the town are bringing down ISIS flags, which will no longer fly there. BREAKING NEWS: The ISIS caliphate is conquered, as the final stronghold of the empire that once ruled over 8 million is liberated, Fox News has learned. “A clearing operation is now underway in the town—and an announcement is expected soon,” Fox reported. The main leaders of ISIS who still survive have not yet been captured. They reportedly abandoned their men in advance. “Our force is still carrying out combing operations and searches” for hidden jihadists, SDF spokesman Mustefa Bali told AFP. 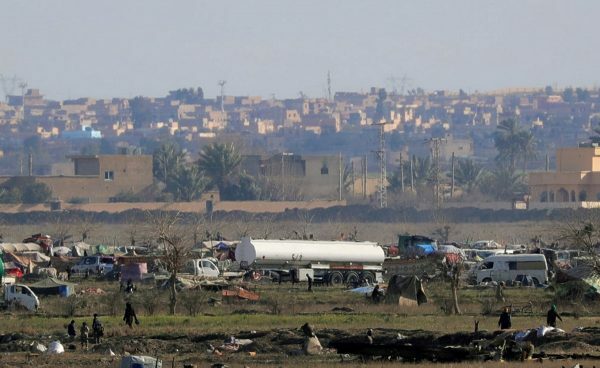 “As soon as we are done, we will announce the liberation” of Baghouz, he added. “When I took it over, it was a mess,” Trump declared to reporters in Washington. Pointing to the bottom of the map, which showed virtually no territory controlled by ISIS, “there is no red,” the president added. There is a “tiny spot which will be gone by tonight,” he added. “This just came out 20 minutes ago,” he said. “That’s the way it goes,” he added. In February, he called on European countries to take back ISIS terrorists who have been captured, saying they should be put on trial. “The United States is asking Britain, France, Germany, and other European allies to take back over 800 ISIS fighters that we captured in Syria and put them on trial. The Caliphate is ready to fall. The alternative is not a good one in that we will be forced to release them,” Trump tweeted last month. 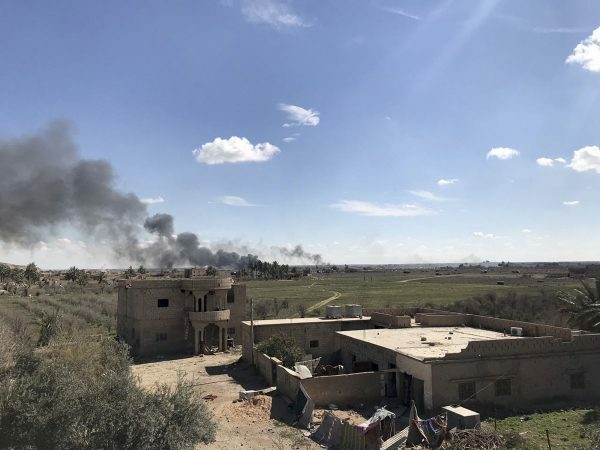 ISIS’s defeat at Baghouz would end its territorial control over the third of Syria and Iraq it held in 2014 as it sought to carve out a huge caliphate in the region. 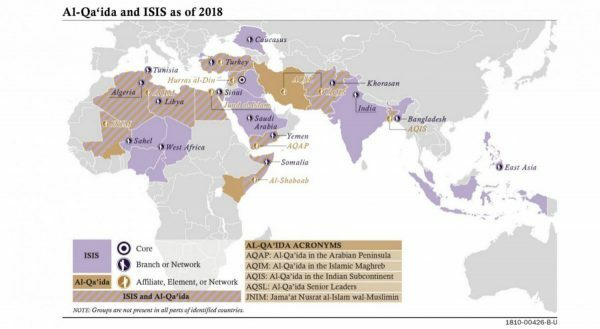 While it would represent a significant milestone in Syria’s 8-year-old war and in the battle against ISIS, the jihadist group remains a threat. 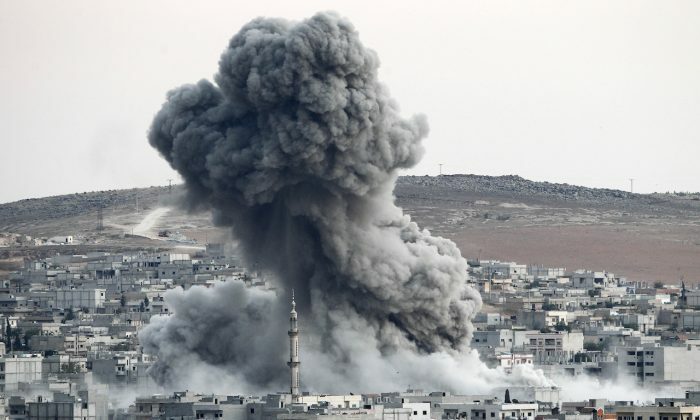 For the SDF, it would cap a four-year, U.S.-led military campaign in which its fighters drove ISIS from swathes of northeastern Syria, taking the city of Raqqa after a months-long battle in 2017.